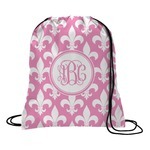 Drawstring or Cinch Backpacks are a great way to carry stuff around. Whether you are going to the gym or just walking around school, these backpacks make it easy to carry your stuff around. 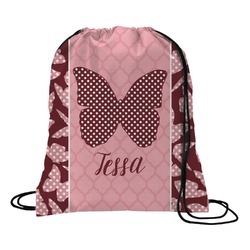 Our drawstring backpacks are custom made for you here in the USA. 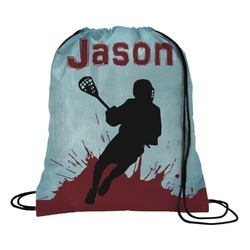 We offer a great selection of cinch bags and it is your choice to personalize them with the text of your choice, in the format of your choice i.e. monogram, name, initial, name & initial. We offer many different patterns and prints; and many of the patterns are available in 45 different colors. 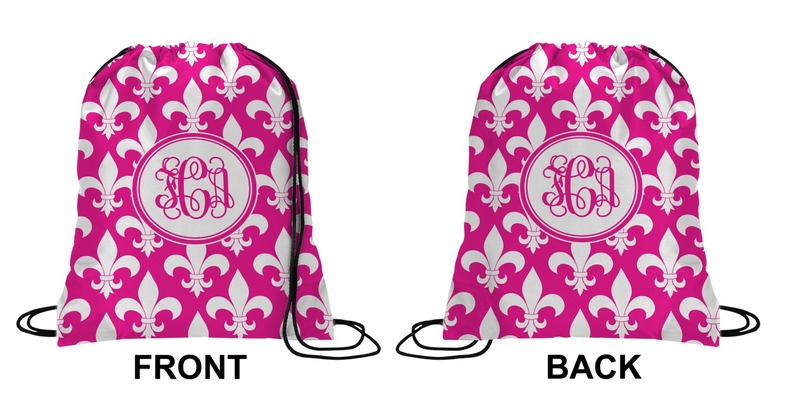 Your custom design will appear on the front and the back of the backpack. You can customize each side individually. The inside of the backpack is white and the drawstrings are black. 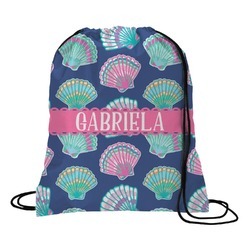 The back pack is made of 100% polyester fabric. 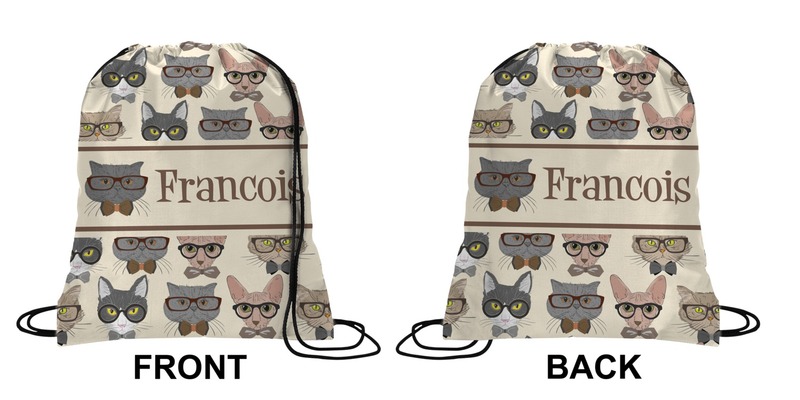 Our drawstring backpacks are available in 3 sizes. Small is approx 15in tall by 13in wide. Medium is approximately 18in tall by 17in wide. Large is 23in tall and 19in wide. Exactly as in the picture online. Well made and good service. This looked exactly as pictured. It's such a beautiful bag and I couldn't have been more pleased! Daughter loves the color & the custom Lettering. One of the strings became detached after 6 days of use, they may want to rethink the cord material.